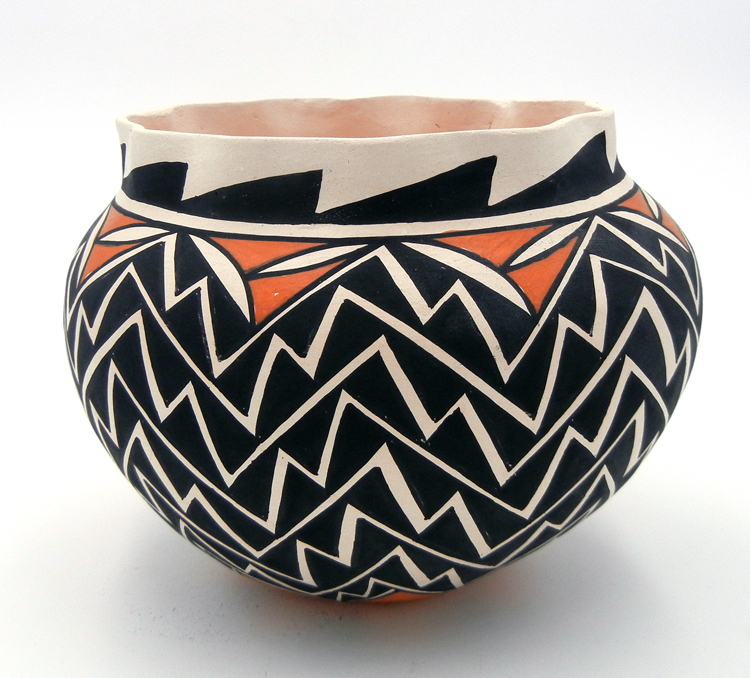 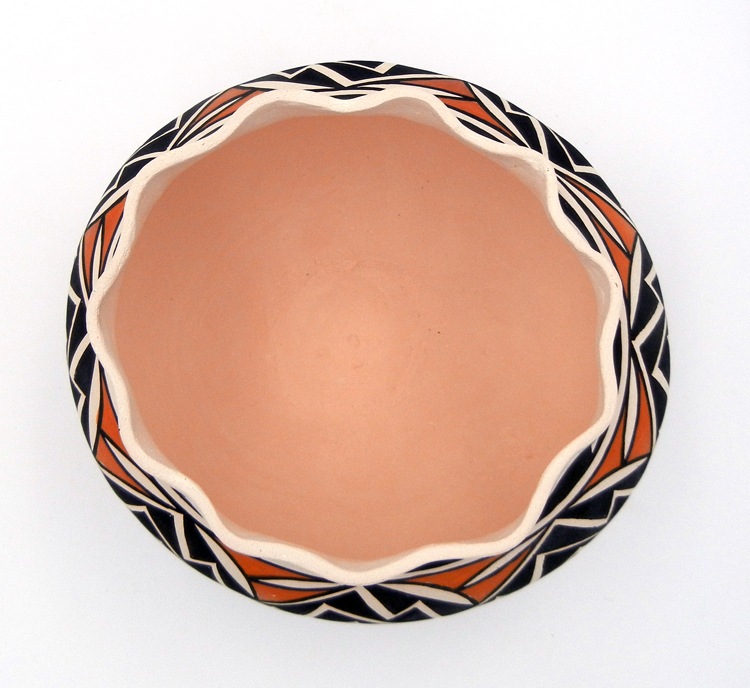 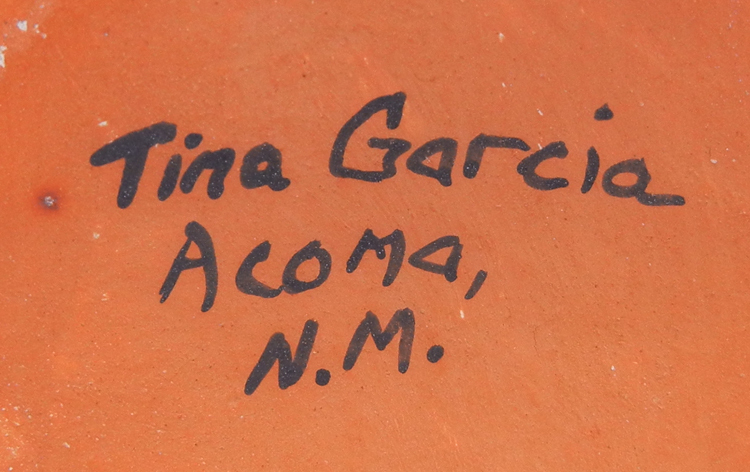 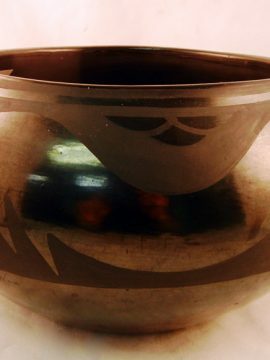 Handmade and hand painted by Acoma potter Tina Garcia, this lovely bowl by Tina Garcia features a jagged lightning pattern painted along most of its outer surface in black and white. 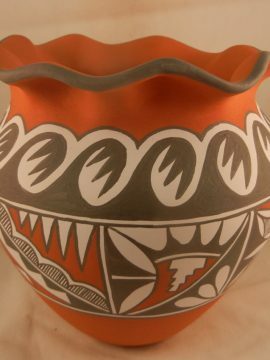 The piece also features geometric designs just below the scalloped rim in red, black, and white, coming together to depict traditional weather patterns, which hold special significance to the Pueblo people of New Mexico, as rain provides sustenance for crops. 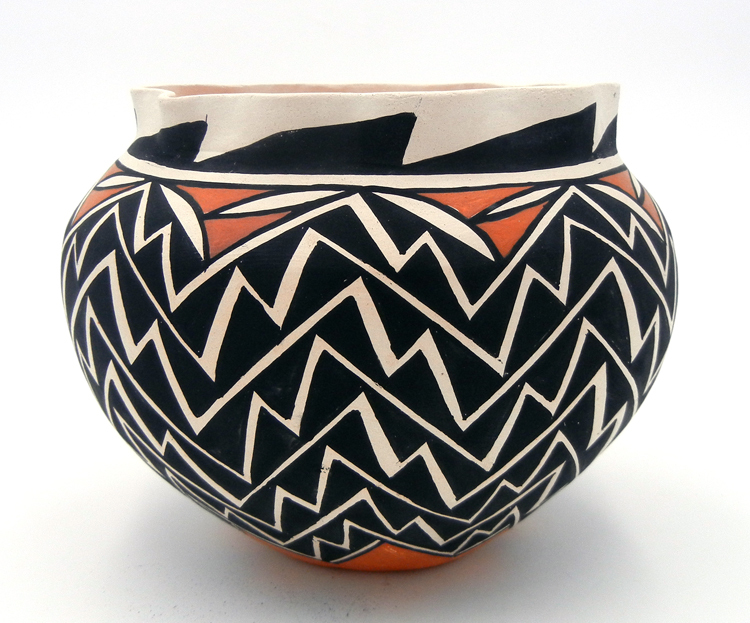 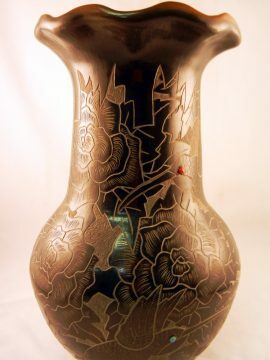 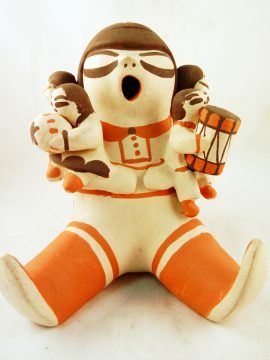 6″ tall x 7 1/2″ wide.